Have you been suffering from a dull backache, back spasms or severe back pain? Maybe you’ve noticed numbness or a tingling, burning sensation. Is your back tender to the touch or have you noticed your range of motion has become limited? At Ramsey Sport and Spine, we believe life is too short to live with back pain. We provide a wide variety of treatments for back pain relief to help you return to the healthy, active lifestyle you deserve. Are you curious what causes lower back pain or back spasms? Have you wondered if a bulging disc or slipped disc is causing your back pain? It’s time to get to the bottom of your issues with Ramsey Sport and Spine. We are the premier non-surgical spine specialists offering the most effective treatment for acute and chronic back pain. Our team of physical therapists and chiropractors work together to create customized treatment programs for lasting back pain relief. Plus, we have integrated our team approach with high-tech equipment and support, empowering us to address all back problems safely and effectively. By first identifying the causes of back pain, we can customize a lower back pain treatment plan that addresses the symptoms. 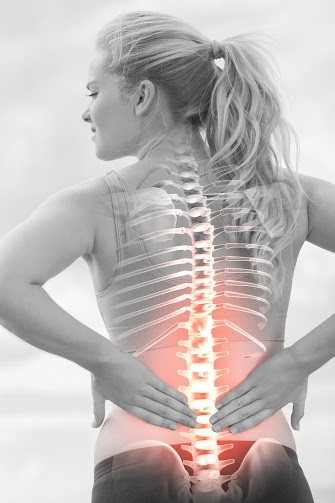 Whether it’s a bulging disc, slipped disc, poor posture or a pinched nerve, we will find the root of the problem and correct it for the most effective back pain relief. We’ll work with you one on one to determine the precise cause so that we’re not just treating the symptom, but the overall issue. This is the key to lasting relief. If you’re ready to live a life free of back pain and back spasms, contact Ramsey Sport and Spine today at 201-327-1400.